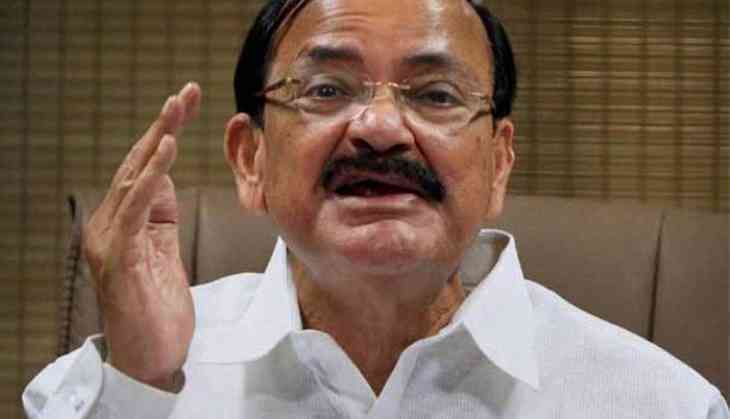 A day after Vijay Mallya was arrested in London, Union Minister M. Venkaiah Naidu on Wednesday said the Centre is making all necessary steps to get the liquor baron back to India and put him before the law. 'The government of India will take all necessary steps to get Vijay Mallya back to India and put him before the law. That is the purpose of the government,' Naidu told ANI. He further said that the government would persuade the UK Government to extradite the liquor baron from the UK. 'We will be impressing upon the UK government to extradite the liquor baron from the UK and send him back to India as he is facing charges in India. We hope UK government will respond positively,' he added. Mallya was arrested yesterday by Scotland Yard in London on an extradition warrant by India. He was later granted bail. Following Mallya's arrest, the Scotland Yard issued a statement saying that the absconding businessman was arrested on behalf of the Indian authorities in relation to accusations of fraud. 'Officers from the Metropolitan Police's Extradition Unit have this morning, Tuesday 18 April arrested a man on an extraction warrant. He was arrested after attending a central London police station and will appear at Westminster Magistrates' Court later today, 18 April,' read the official statement of the Scotland Yard. His arrest came after a Delhi court had issued an open-ended non-bailable warrant against Mallya in connection with the 1995 FERA violation case.